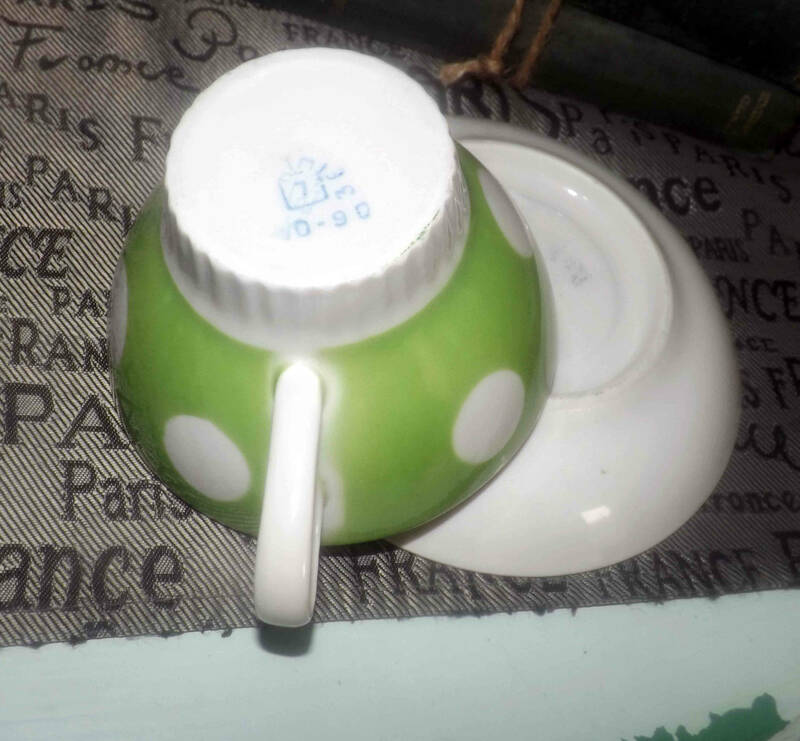 Vintage (1980s) green and white polka dot tea set made in the USSR at the Riga Porcelain Factory. So cute - so retro. 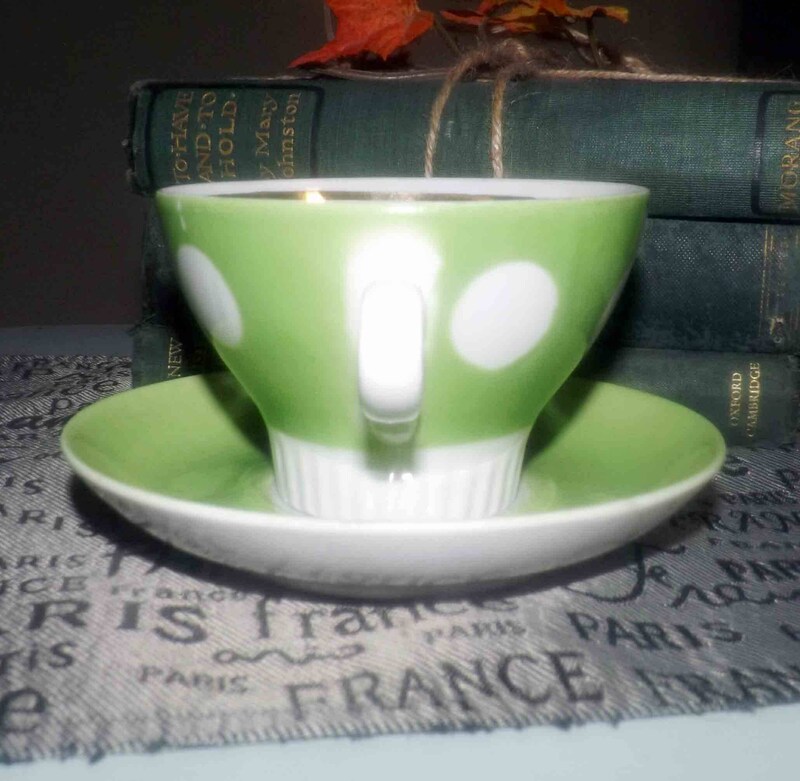 Vintage (1980s) green-and-white polka dot bone china tea set (cup with matching saucer) made in the USSR at the Riga Porcelain Factory. In EXCELLENT! condition with NO! chips, nicks, cracks, or fleabites, NO! crazing, NO! loss to the gold bands and NO! marks, stains, scratches or other signs of use or wear. 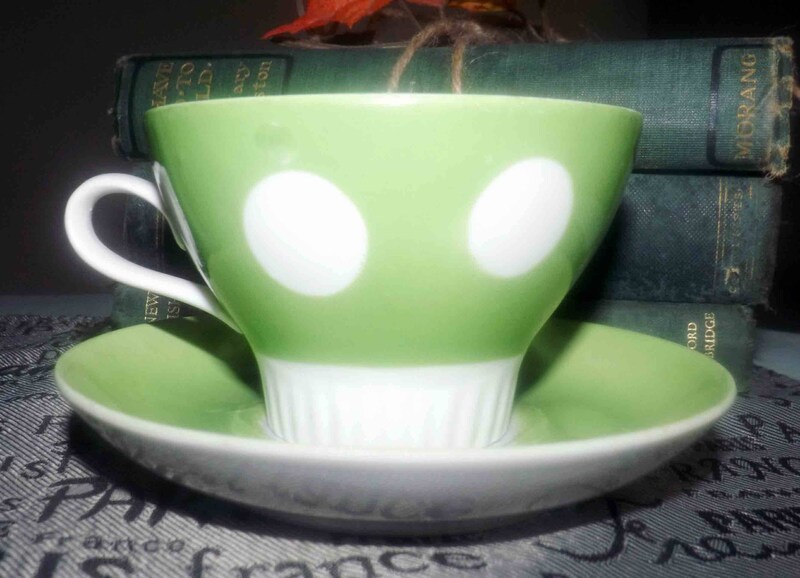 Adds a splash of retro color to tea time! 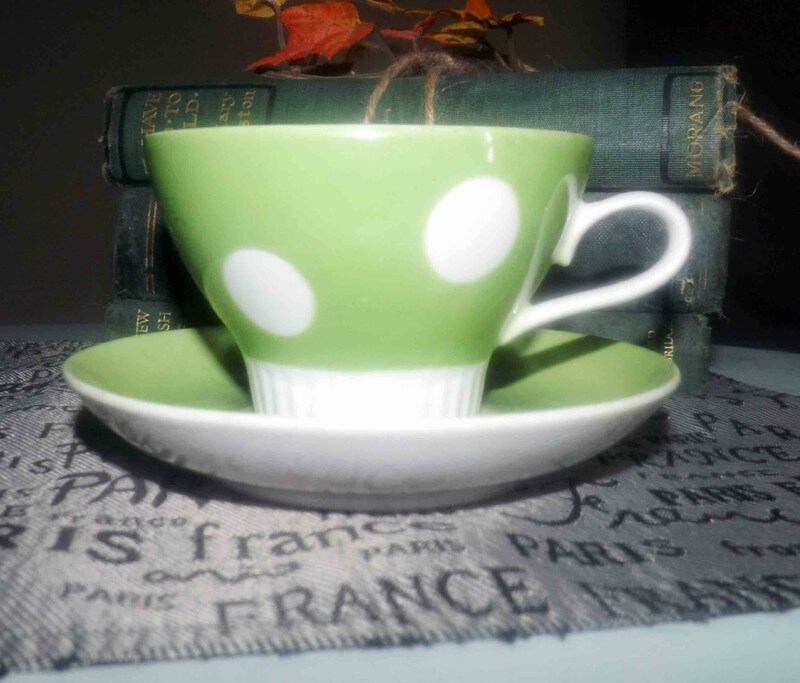 Approximate measurements: flat cup stands 3" with a 4" diameter bowl. 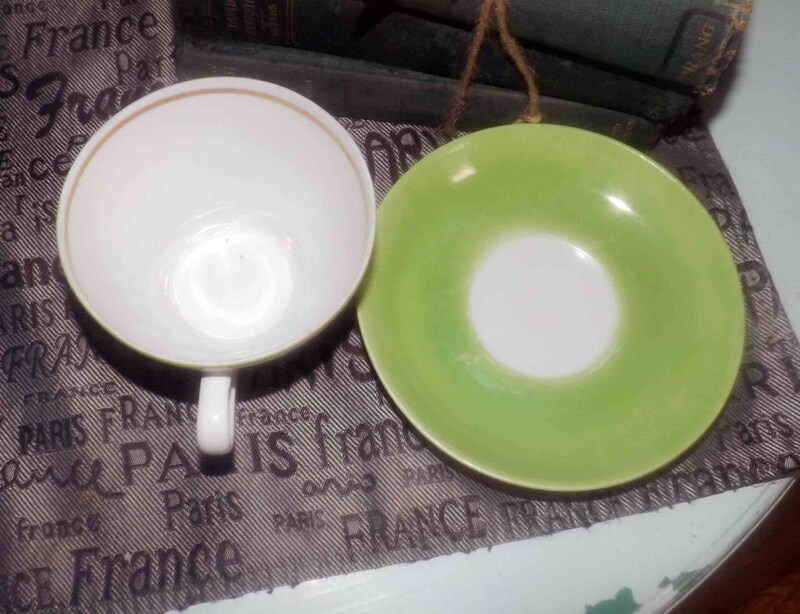 Matching saucer is 5-1/2" in diameter with a smooth edge. MAKING MULTIPLE PURCHASES AT THE SAME TIME? Use the Combined Purchase Discount coupon at check-out! Coupon code COMBINEDITEMDISCOUNT saves you 20% on your entire order from BuyfromGroovy when buying more than one item at the same time from the shop.